Long lines standing outside in all types of weather from hot too cold, to rainy are a common occurrence on Black Friday. Usually, these lines go away when stores open their doors. This wasn’t the case in Massachusetts. It wasn’t a Black Friday sale that had long lines of people patiently waiting to get into a store. It was legal access to cannabis. This Thanksgiving that just passed marked a monumental day in history for Massachusetts. People in Massachusetts were finally able to purchase recreational cannabis legally. Massachusetts has a deep colonial history. It also is one of the first states to support draconian marijuana prohibition starting as early as 1911, though some claim it was 1914. Either way, it was a solid two decades before the United States adopted marijuana prohibition in 1937. Back in 2016 residents of Massachusetts voted in favor of recreational or retail adult-use cannabis. This historic moment finally manifested on November 20th of 2018. Ironically the first state in the United States to support draconian cannabis prohibition becomes the first state on the east coast of the United States to sell recreational cannabis. 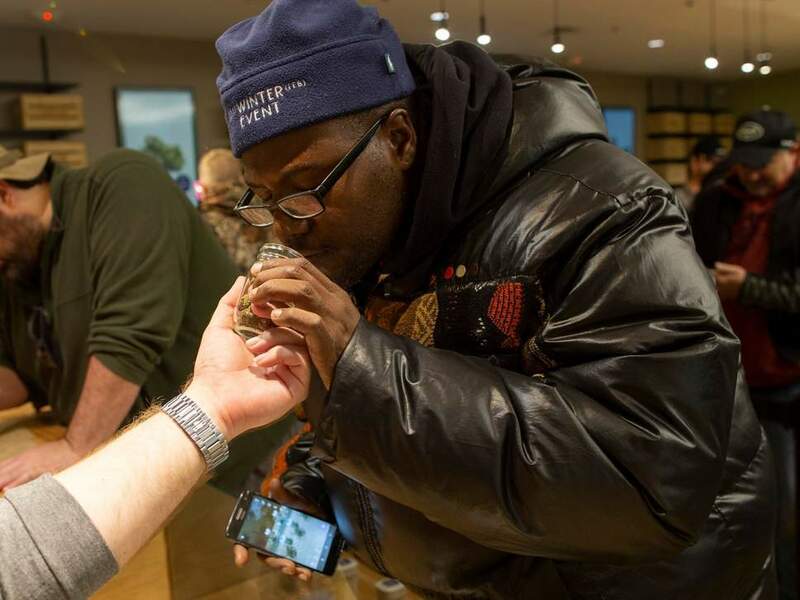 The opening of cannabis dispensaries is a good thing. The cannabis sold in these dispensaries is required to meet strict testing guidelines and regulations. Black market cannabis can be dangerous. Some of the dangers are improper cultivation, mold, mildew, and insects. All of these dangers produce poor quality medicine and can actually cause more problems. Legal cannabis is a heavily monitored business sector. Consumers have the peace of mind knowing that dangerous agricultural chemicals such as Eagle 20 aren’t going into their body. State-by-state there are different rules and regulations governing the purchase limits for medical and recreational cannabis. In the state of Massachusetts, the current law allows customers to purchase limited quantities of cannabis. If you have a valid ID showing you are 21 years or older you can purchase up to 1 oz of bud or 20 cannabis-infused edibles. Cannabis has gained monumental support over the past decade. Politicians that previously were in the cannabis closet are stepping out. The Mayor of Northampton David Narkewicz was the ceremonial first customer of one of Massachusetts two cannabis dispensaries. According to media reports David has plans on preserving his purchase and displaying it for its historical significance. Come on David, we all know you’re going to smoke that bad boy the minute you get home. So far it looks like Massachusetts has learned a lot from cannabis legalization happening elsewhere. They were ready for extremely long lines of customers waiting to purchase their first sack of legal weed or cannabis edible. The next thing they were prepared for was the amount of cannabis they needed to have on hand. You didn’t see stores in Massachusetts closing their doors due to running out of supplies. Not only is that bad business, but it’s also embarrassing. Just ask Canada they experienced this very problem on the first day of cannabis legalization in their nation. Draconian marijuana prohibition is coming to an end. Science and truth are debunking anti-cannabis propaganda from the Reefer Madness era. Politicians are listening to the will of people finally. After the 1940s LaGuardia committee reports and the 1970’s Shafer commission reports, both of which supported cannabis and ending federal prohibition it appears politicians are catching on. If they want to keep their jobs, they better start listening to the people at least a little bit, or else they might find themselves being voted out of office. After throwing dirt on cannabis advocates and supporters for decades, a forest was cultivated. This sea of green is now rising to bring forth a positive and much-needed change for the future.